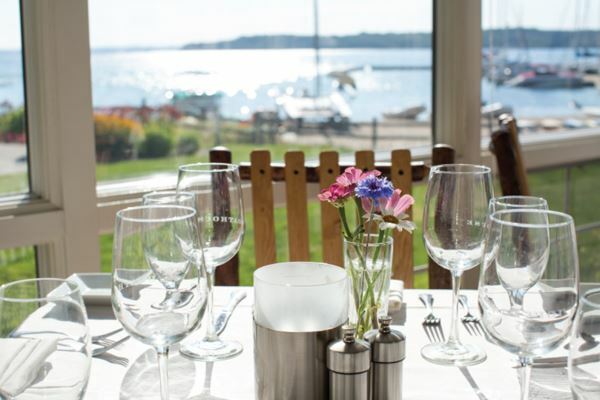 Takeaway: Set among wineries and rolling hills with a stunning view of Grand Traverse Bay on Old Mission Peninsula in Traverse City, Michigan, The Boathouse offers its customers a true locavore dining experience, literally from farm to table. Even though farm to table restaurants can be traced back to Alice Waters of Chez Panisse in California in the 1970s, the movement to support local farmers and economy, obtain fresh produce, and knowing the product source, reappeared in 2005 and has been growing since. What does it mean to be a locavore? It means that a person is looking to consume food that is locally produced, generally within 100 miles within from where it is sold or consumed, has low food transportation mileage, and is eco-friendly and sustainable. While healthier food choices have typically been limited in availability and more expensive, we are seeing more farm to table restaurants, food co-ops, and farmers’ markets grow to meet the demand among today’s consumers who are more health conscious and educated. This rejuvenated interest has created opportunities for growers to expand their distribution channels where farmers can sell their food through roadside produce stands, farmers’ markets, food co-ops, community supported agricultural groups, schools, restaurants, and more. “It’s more than just a trend. It’s a lifestyle and it’s here to stay,” says Dearborn, Michigan, native and restaurant owner, Doug Kosch. When he purchased the restaurant on the site of The Boathouse in 2003, it was a casual dining place that offered regular pub fare like fish ’n chips and burgers. 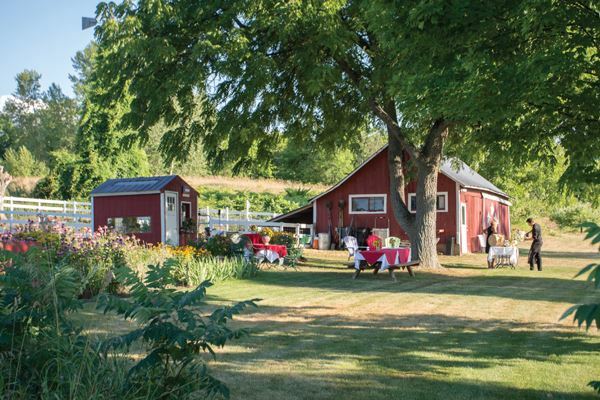 It wasn’t until 2008 when he moved his family to a house on the Upper Peninsula with a 10-acre apple orchard known as Malem Farms, that The Boathouse would evolve into a “fine dining, white linen tablecloth” locavore’s dream, featuring the freshest and healthiest ingredients as locally sourced as possible. When Kosch initially moved to his farm, he kept 700 apple trees but ended up clearing five acres thinking he would grow grapes, but later decided to put in a vegetable garden. He and his wife, Erin, now grow a majority of the restaurant’s fruits, vegetables, and herbs without using pesticides or chemicals. With roughly 10,000 plants in the ground, each year the farm produces heirloom tomatoes, kale, cauliflower, broccoli, Brussels sprouts, acorn squash, zucchini, fingerling potatoes, and beets just to name a few. If the food is not from the ground or hoop house, then look no further than a growroom utilizing hydroponics for The Boathouse’s microgreens that are grown year-round, including arugula, bull’s blood beet, daikon radish, dark opal basil, kale, and purple kohlrabi, among others. In the summer when seasonal dishes require more of these ingredients, Kosch harvests up to 30 pounds of microgreens a week. Hydroponics has proven to be not only more convenient, but also more cost effective. However, the same cannot be said for the rest of the farm where the family also raises Muscovy ducks and chickens. Several months in advance each year, the farm receives a shipment of 25 birds that Kosch and his family raise and prepare for the Thanksgiving main course at The Boathouse. Kosch’s two daughters help with the animals while Erin tends to the herbs and flowers that are used throughout the year to decorate the restaurant. “We could buy the stuff cheaper but it isn’t about that. I enjoy doing it. It’s peaceful, and I like working in the garden before coming into work. It’s therapeutic and helps keep me focused,” says Erin. The restaurant hosts various events throughout the year, teaming up with other local businesses like the Bowers Harbor Vineyard, where people go on a viticulture tour before making their way back to the farm where they can select their own vegetables. Once back to the restaurant, a meal is prepared using the fresh produce they hand picked. “We’re in an agricultural area and there’s accessibility to farms here. 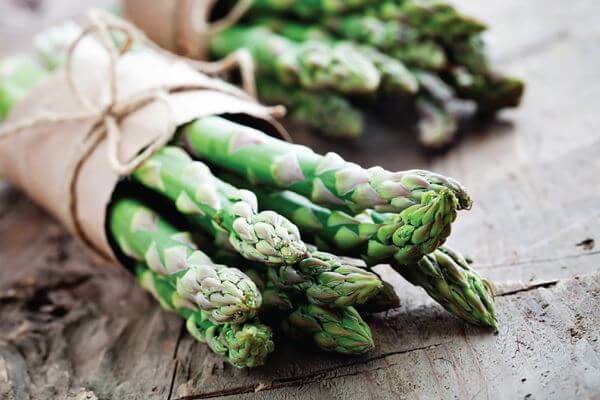 Customers love to see the process and appreciate the time and effort that goes into this,” says Doug, adding the chefs love going to the farmers’ markets in the morning to shop for the day’s meals. They also visit the garden a few times a week to scope out what is available so they can plan the menu out for the week. The combination of local farming and short travel distances makes it more likely to be organic and fresh. Local food has been proven to taste better and provide more nutrients. While many of us are not locavores, the benefits can be experienced at places like The Boathouse where the people are engaged in their communities, support local agriculture, share the joys of farming, and help others appreciate how food is grown and sourced. For more information, visit boathouseonwestbay.com or call 1-231-223-4030. The Boathouse is located at 14039 Peninsula Drive in Traverse City, MI.